No more Sporting Register competition cars written off this month, thank goodness; but still plenty of things happening on the track. 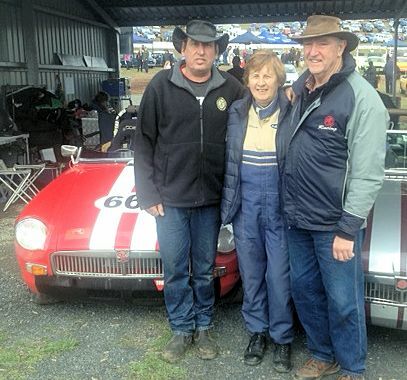 After re-shelling his historic Group Sb MGB in record time, David Anderson with Roger and Lorna Chapman sailed over to Tassie to contest the Baskerville Historic Meeting. 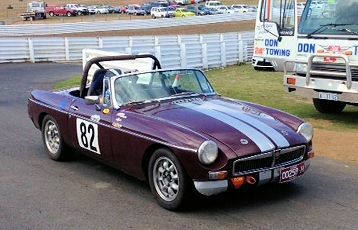 Roger and David ran their MGBs in the Group Sb events whilst Lorna used her MGB (the same one that she allows Roger to use in the races) in the Marque Sports Car Regularity events. Despite sustaining some panel damage and a broken front hub and disc rotor, David picked up second in his races with Roger not far behind in third place. Lorna’s best result in the Regularity was 5th in a field of 18. 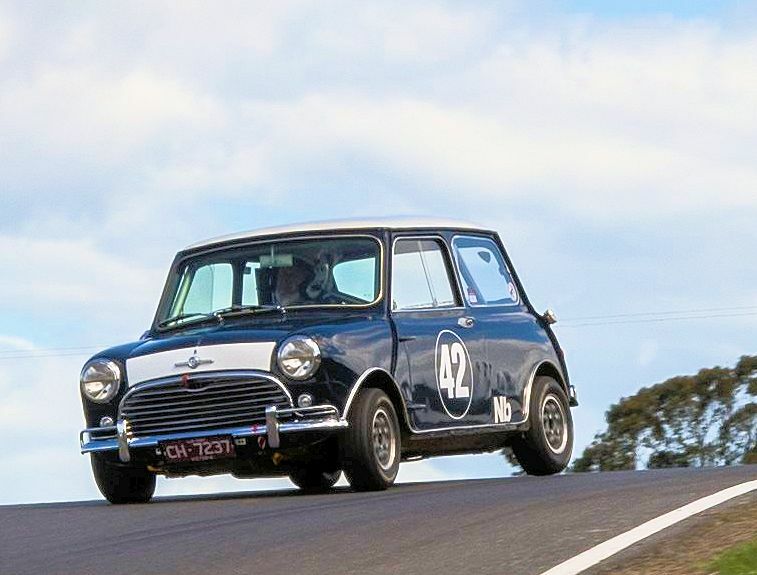 On the same weekend several Sporting Register members attended the Sprints at Phillip Island and/or the ‘Triple Treat Hillclimb’ at Bryant Park where three different track layouts were used at the one meeting. Jane Vollebregt ran her MGB at the Island along with a very large field of MGs finishing in a creditable 10th place. Ian Maud ran his super-charged Toyota MR2 in the ‘Modern 2500 – 3500cc” class, placing 6th and recording a personal best lap time. Ian fronted up at Bryant park the following morning and put the MR2 through its paces on the hillclimb track, taking home a class win for his efforts. Steve Schmidt did likewise in the Historic Grp Nb Cooper S, despite surviving a massive lose at the end of the straight on the reverse direction layout. It was nice to see several Sporting Register members either spectating or helping out with official duties at the hillclimb track. Lloyd Shaw mentioned that he’ll be hanging up Scrutineer’s stick at the end of this year after goodness knows how many years looking out for the safety of our competitors on the track. Lloyd’s voluntary contribution to motorsport has been huge and his many friends wish him a happy, well-deserved retirement. Well done David, Roger and Lorna… Top effort!